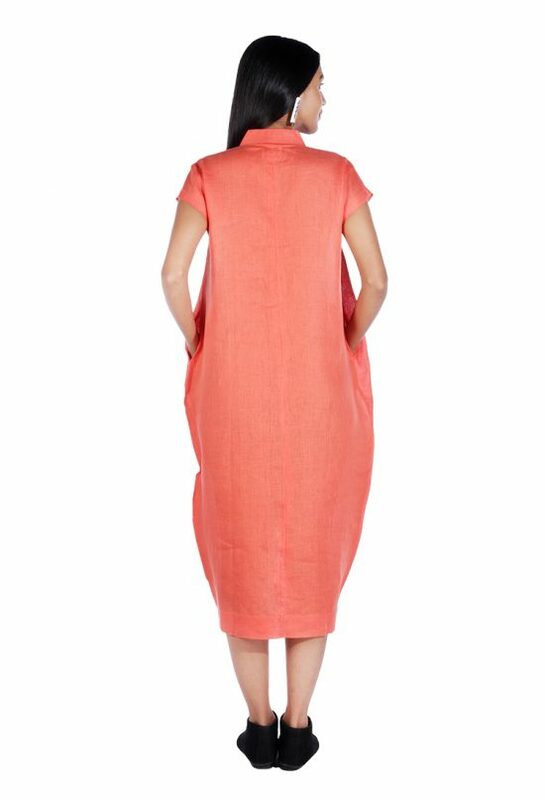 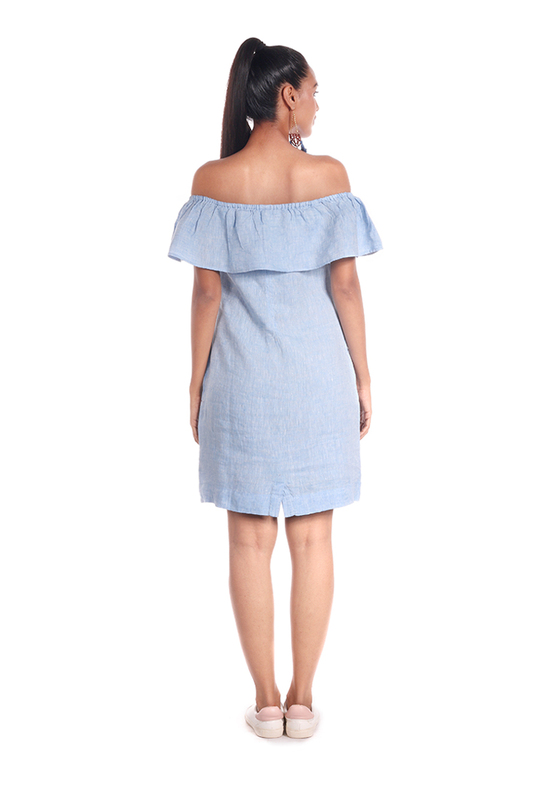 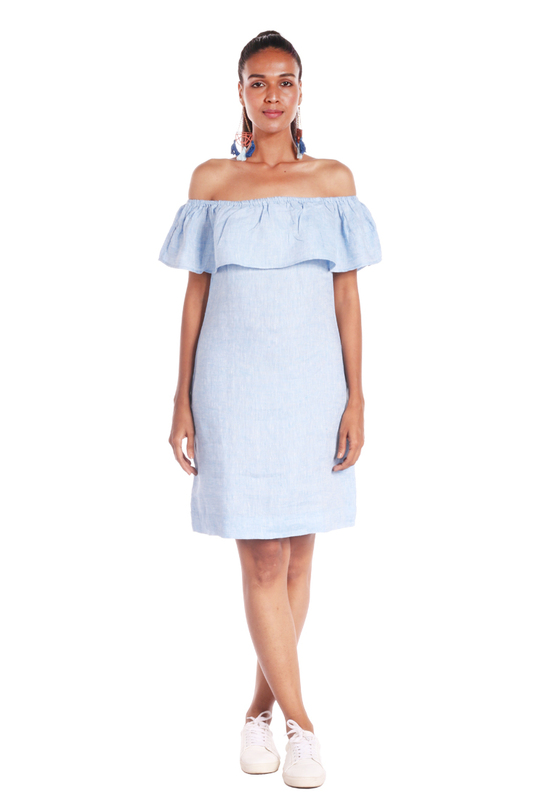 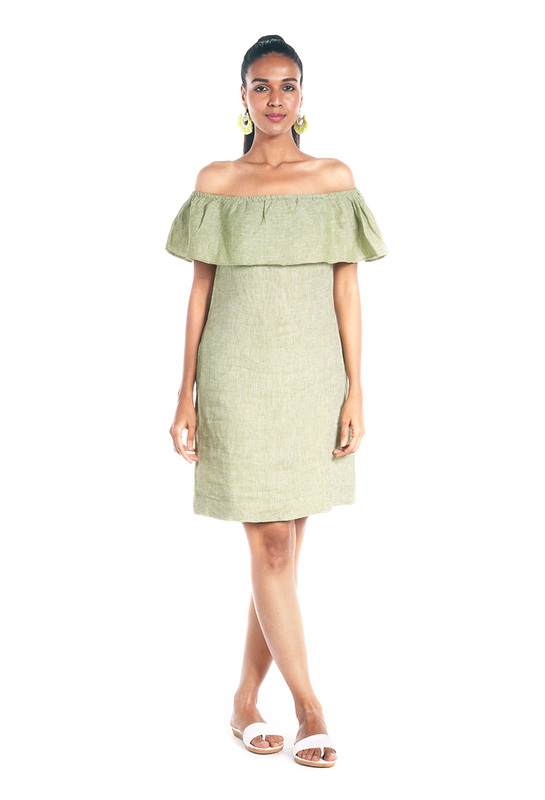 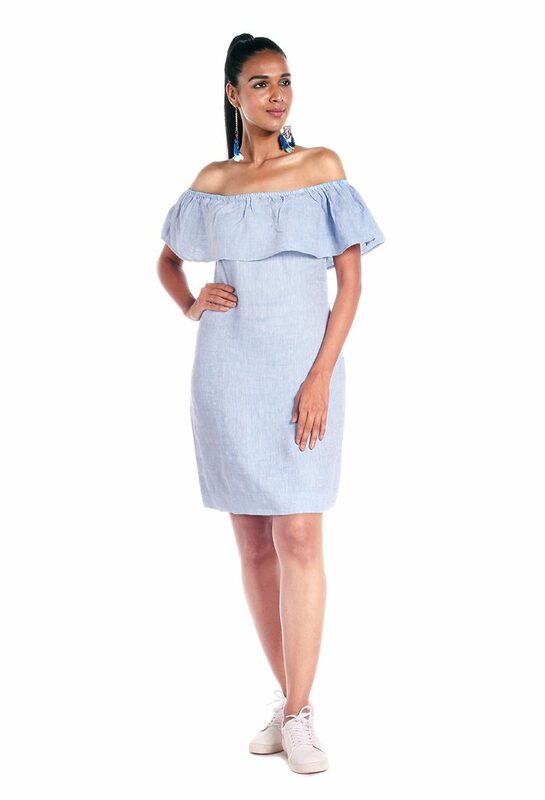 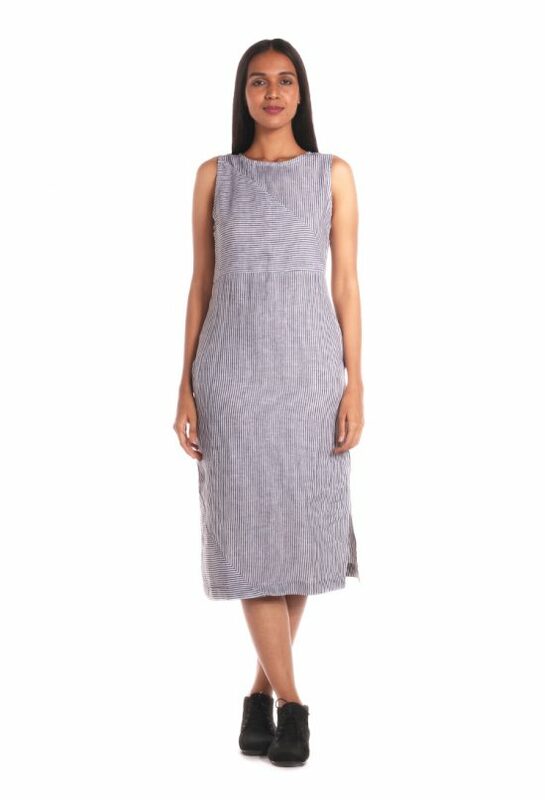 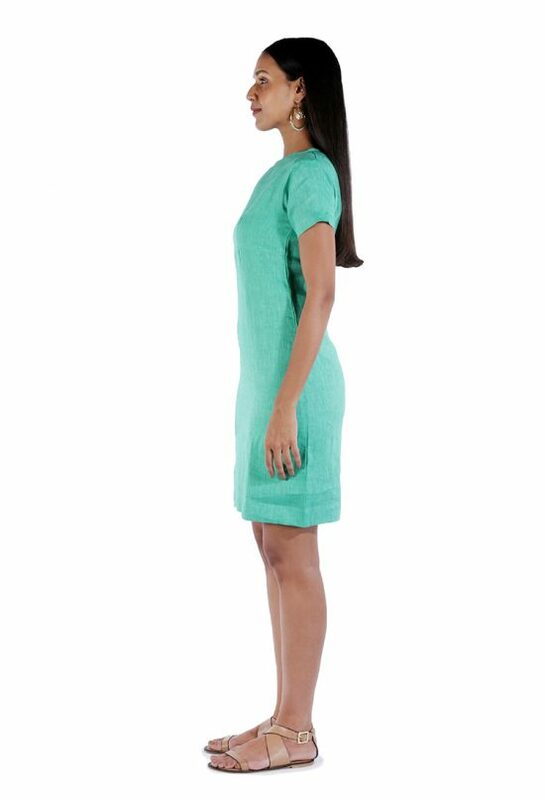 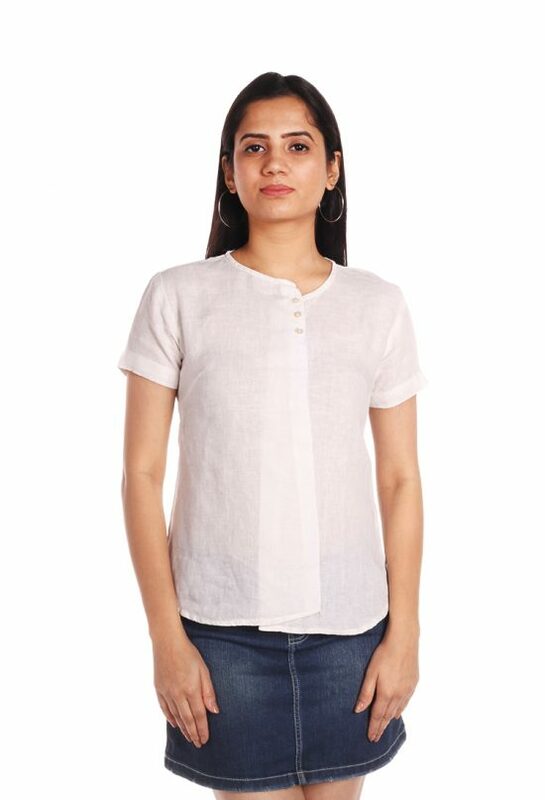 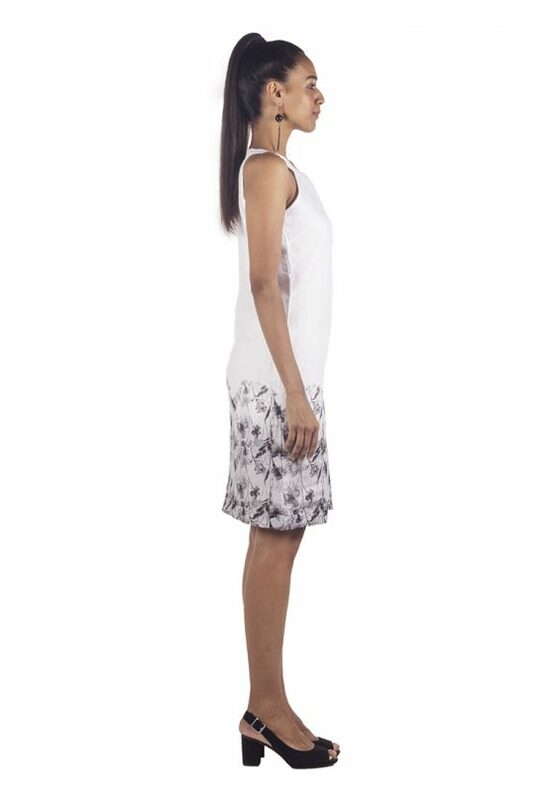 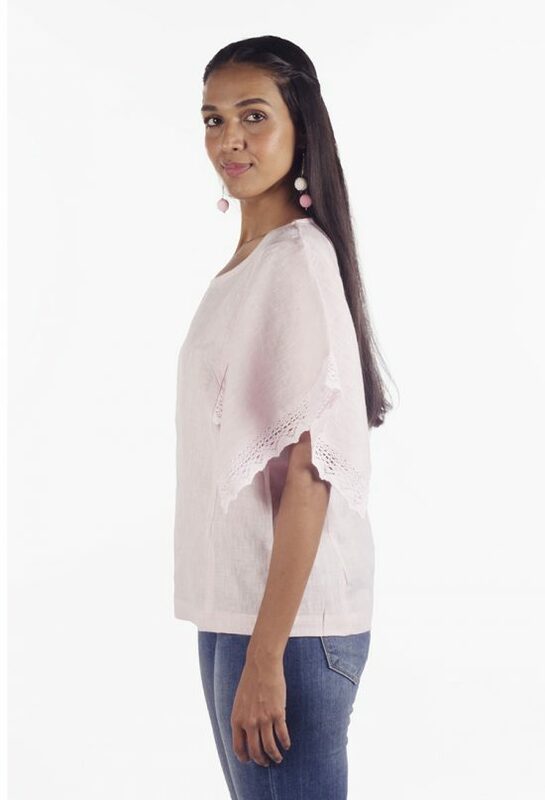 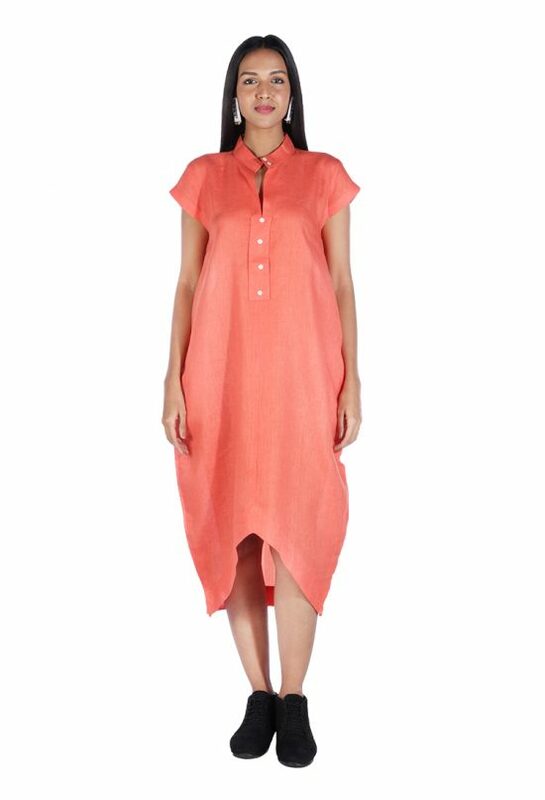 Lightweight and relaxed fit linen with a clinched waist makes this the perfect summer dress. 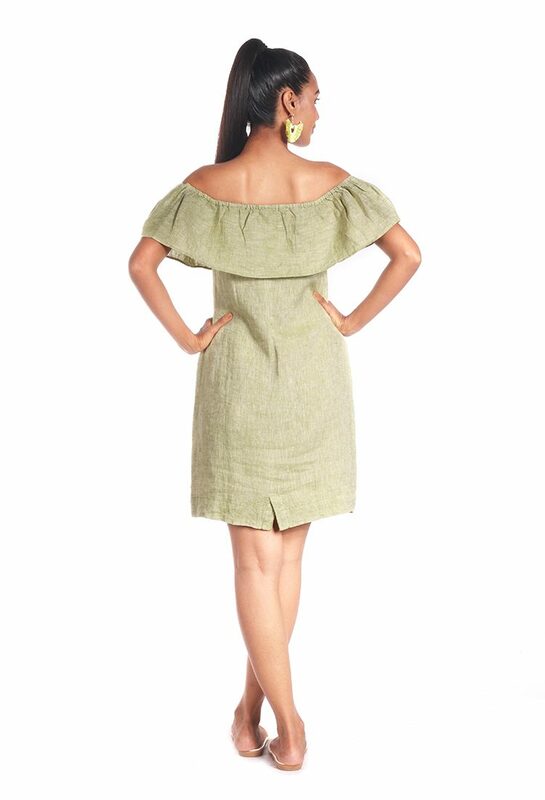 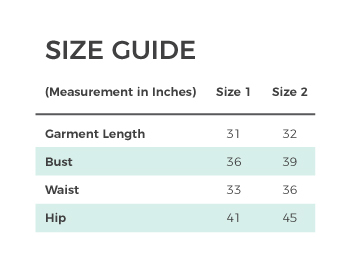 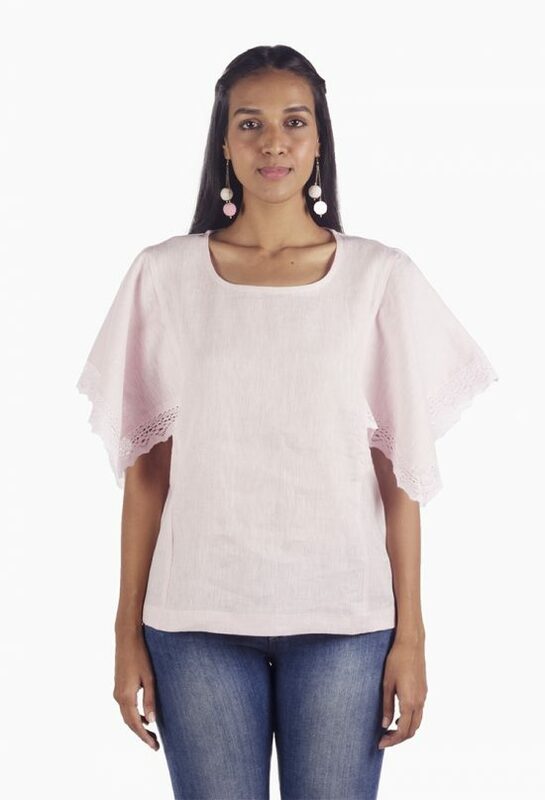 An elastic neckline tops the off-the-shoulder shape, while short flutter sleeves frame the A-line silhouette. 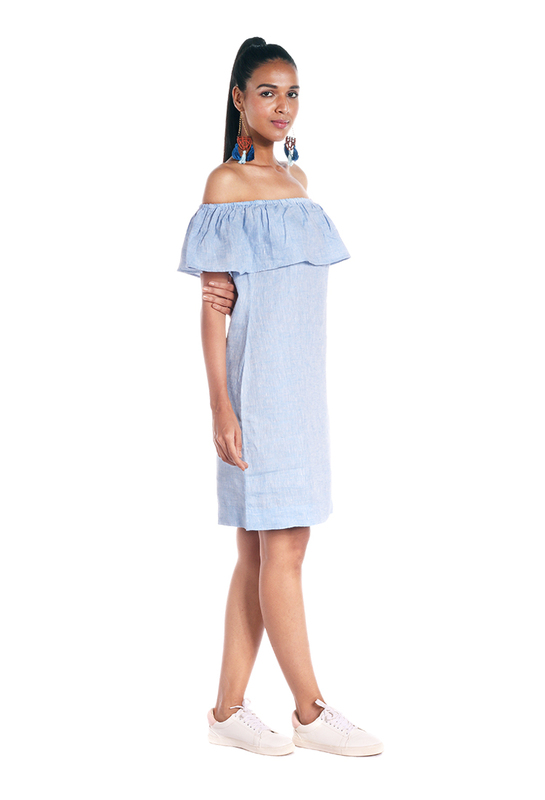 Lightweight and relaxed fit linen with a clinched waist makes this the perfect summer dress. 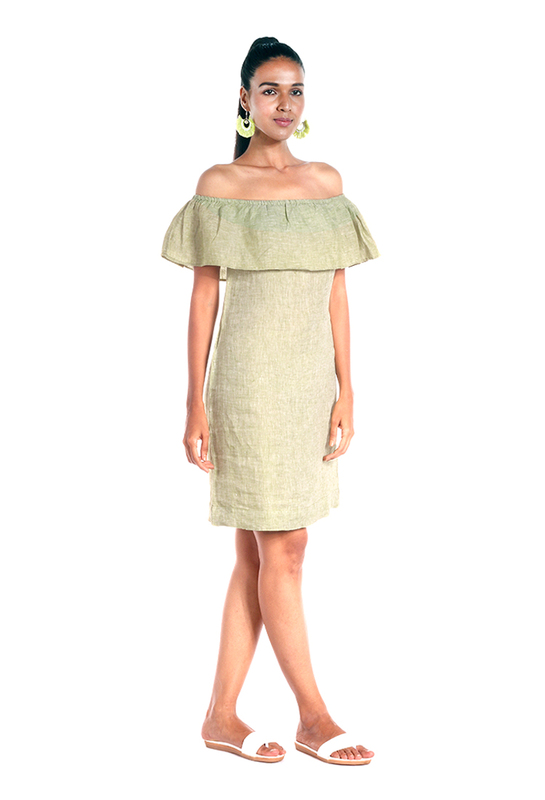 An elastic neckline tops the off-the-shoulder shape, while short flutter sleeves frame the A-line silhouette. 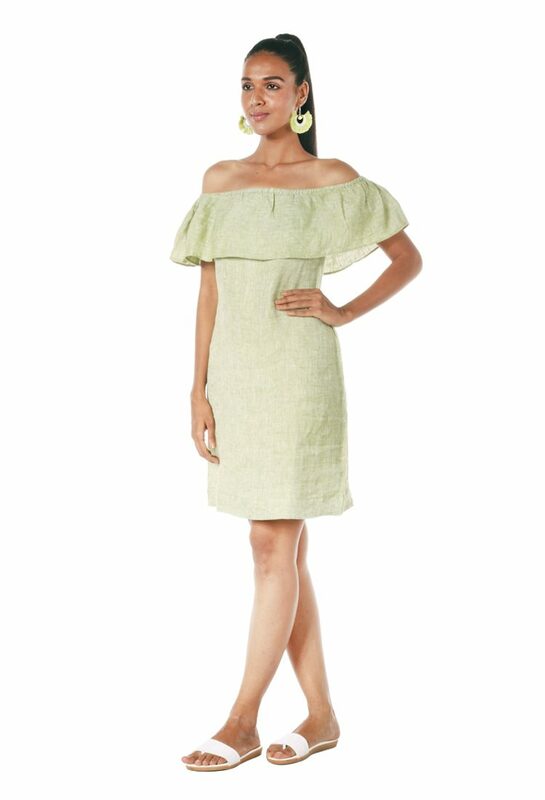 Classic and chic, this shoulder-baring dress takes you from a day in the sun to dinner under the stars.